Don’t Cha Wish you had a derriere like me? She has an amazing shape so who can blame Nicole Scherzinger for showing it off and that’s exactly what the singer did at the Comic Relief concert on Wednesday. The 34 year old singer emerged onto the stage at Wembely in a pair of leather knickers bra-let and a netted top , that left little to the imagination. Nicole showed off her pert derriere in the outfit as she performed at the charity concert along with a host of familiar faces. She performed right there , before launching into Don’t cha a hit track from her pussycat doll days. Nicole as sang her latest track Boomerang as well as don’t Hold Your Breath and seems that she certainly caught the eye of host Russell Brand. 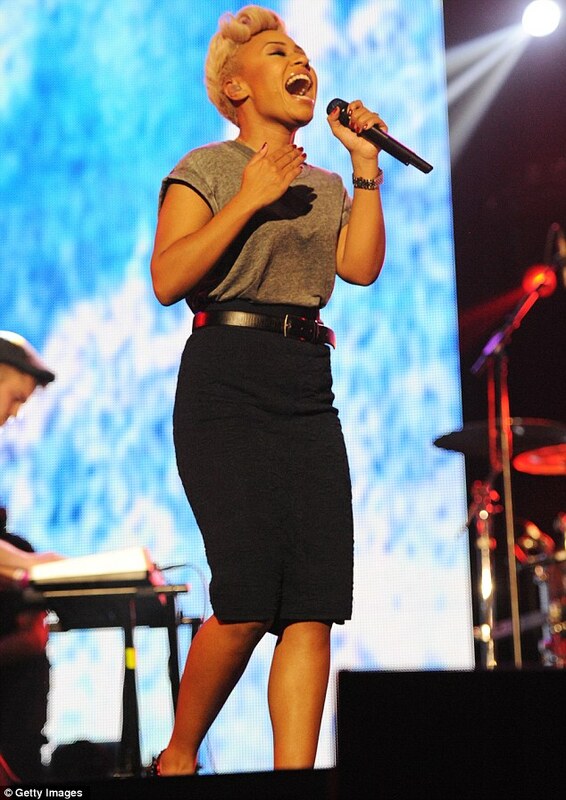 Emeli Sande were among the other musical guests at the charity event. Emeli showed off her recent weight loss in a fitted pencil shirt and great T-shirt as she opened her set with Heaven before taking the tempo down a notch with a vocally stunning performance of Clown. The Scottish singer finished her set with a performance of her hit track Next To Me. cosmetic procedures or extreme eating regimes! squarts , lunges and the terrifying-sounding single leg romanian deadlift. On the plus side they can be done at home as part of a daily routine as like any workout keeping it up regularly is key to its success. The workout challenges the commonly hed belied that one must severely restrict their diet in order to achieve slim upper thighs.On the plus side they can be done at home as part of a daily routine as like any workout keeping it up regularly is the key to its success. But Mr Townsend is adamant that a severe diet is the worst course of action. The goal is to effectively target the muscles so they are healthy and toned not weak and frail he explained. so many of these girls think they need to starve themselves to get skinny. while i agree that both dieting and genetics do play a role. Brooke Burke Charvet Shows off her Washboard Stomach! She successfully underwent thyroid surgery in Decemeber after being diagnosed with cancer the previous month. But Brooke Burke-Charvet is edvidently not keeping anything hidden after beating the disease as she proudly showed off her throat scar on sunday. Leaving her gym in Malibu,California after her workout the 41 year old television personality couldn’t her smile as she flaunted her surgery scar and her washboard abs in one go. Showcasing her incredible figure in a skimpy white top. The actress was displaying the sort of stomach that would leave most woman positively green with envy. Ensuring her toned and tanned torso got maximum exposure the brunetter star teamed her barely there top with a pair of tight jogging pants as se made her back to her car.